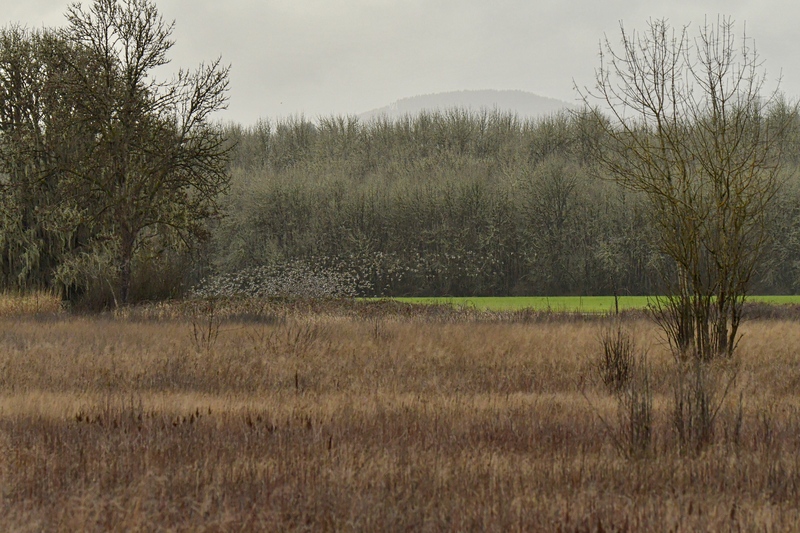 It seemed as if I saw more geese during my afternoon visit to this wildlife refuge than I’ve encountered over the course of my entire life. 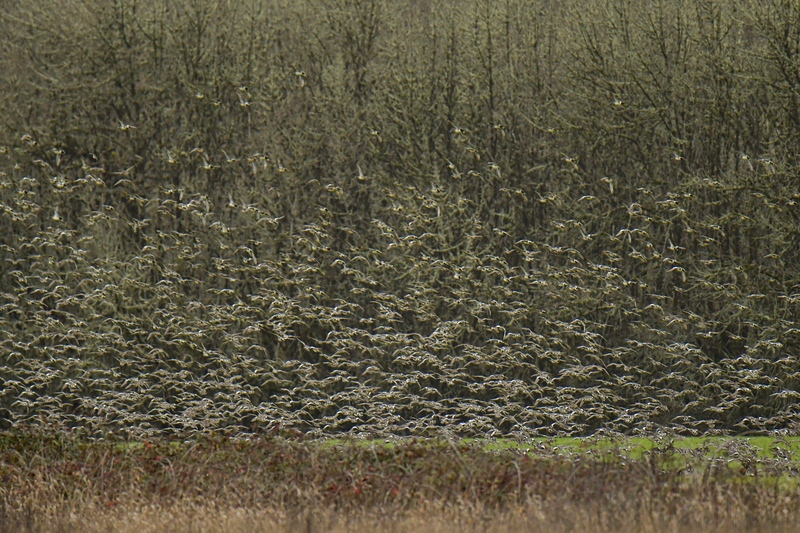 There were that many birds! 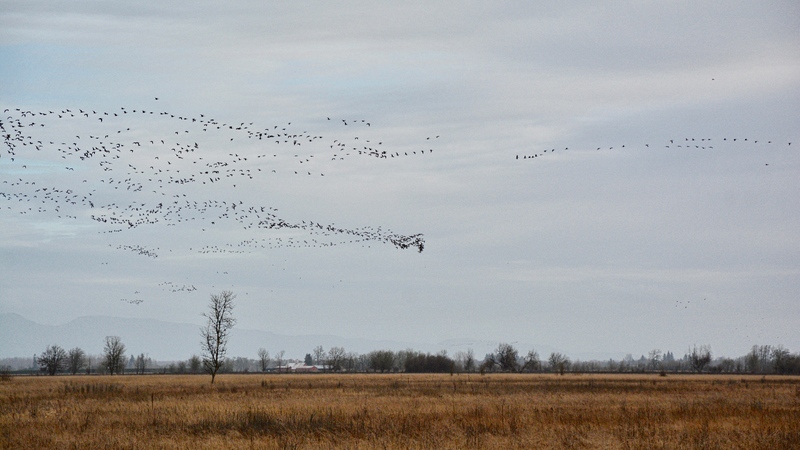 When we first arrived, all I could see were Canada Geese; flock after flock filled the broad skies. They arrived in throngs… one after another… wedges, skeins, and plumps. Mesmerized by the sights and sounds of the geese arriving… I had no concept of how many geese were already in the reserve. 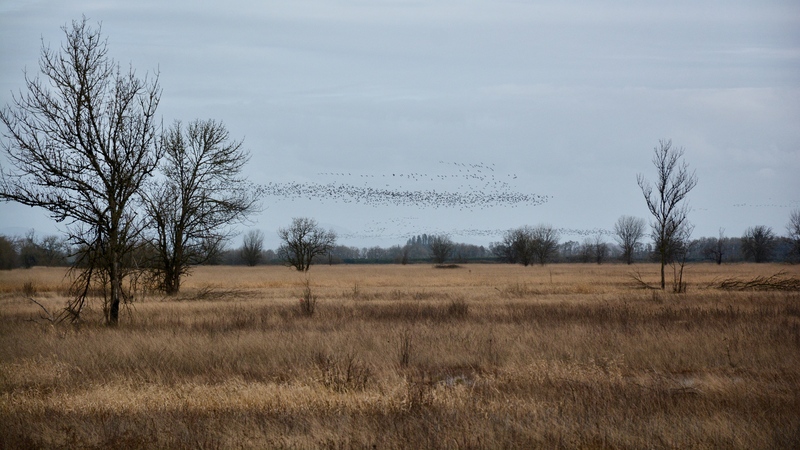 There… across the field, on the other side of the wildlife refuge, an eruption of flight was taking place. 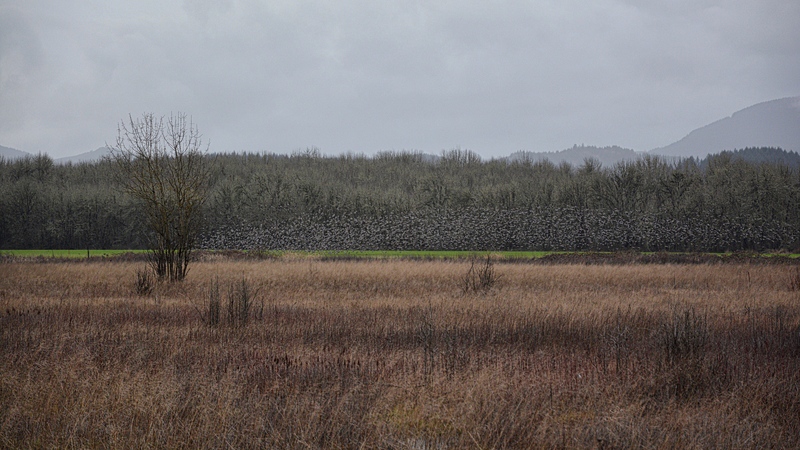 Dusky geese, gaggles upon gaggles, too many to count, took to low level flight… without an incident of crash or accident. 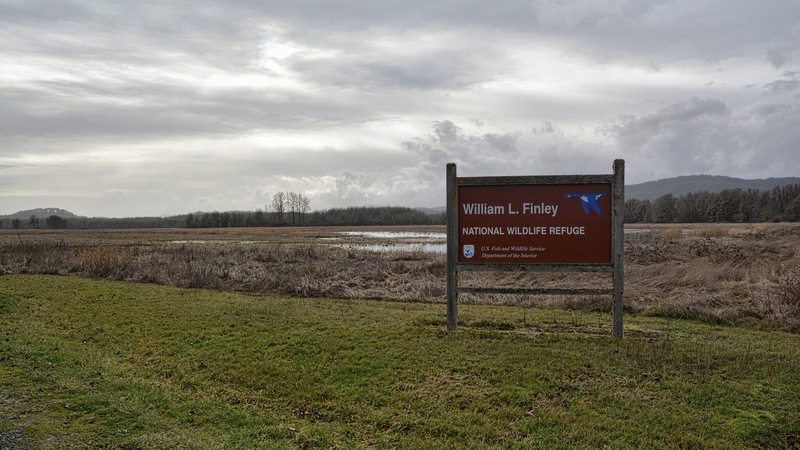 William L. Finley Wildlife Refuge was originally established to provide habitat for these populations of geese. The collective noun for a group of geese on the ground is a gaggle; when in flight, they are called a skein, a team, or a wedge; when flying close together, they are called a plump. That must have so exciting! So many, and I love the descriptive collective nouns. 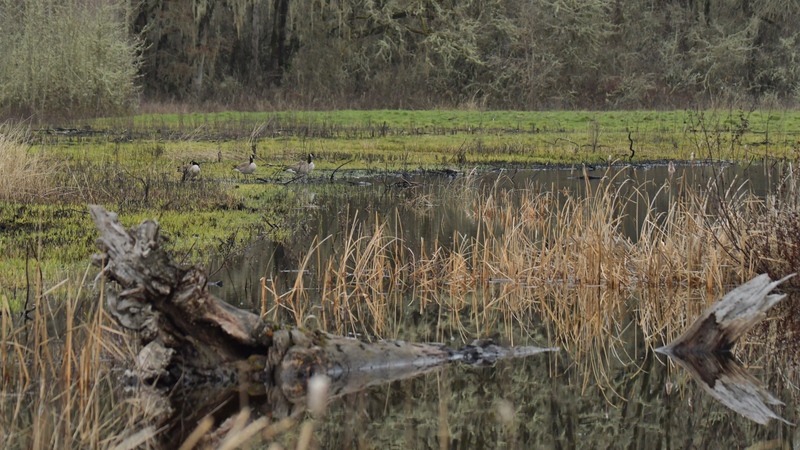 ‘Plumps’ – isn’t that fitting for so ponderous a group of geese?! Not so long ago I came across a ‘wobble’ – of ostriches. Thanks for adding to my vocabulary! You are certainly welcome, Lindy. Aren’t they the best when it comes to geese? ?